The John Carroll Cavalier Band Program seeks to offer high-quality instrumental music education through a variety of learning and performing experiences. Classroom studio offerings include Beginning Band, Jazz Band, Advanced Band, and Honors Advanced Band. With continued growth, future offerings might also include Class Guitar and AP Music Theory. The performing ensembles of John Carroll include The Cavalier Marching Band, performing at football games, pep rallies, marching competitions and parades. 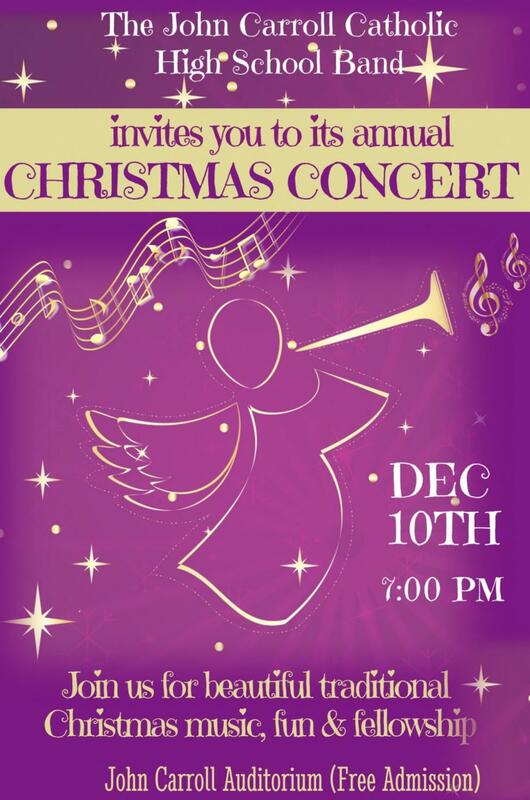 Many students will also enjoy performing with The John Carroll Wind Ensemble, studying and performing the highest quality selections of traditional concert band literature, new contemporary music, Broadway and movie selections and orchestral transcriptions. The Cavalier Jazz Band and Pep Band are also available and provide students with more great opportunities to perform great music and enjoy many other wonderful experiences. Dr. Mark Foster is currently in his 29th year of teaching band and is happy to be in his 1st year as the band director at John Carroll Catholic High School in Birmingham, Alabama. 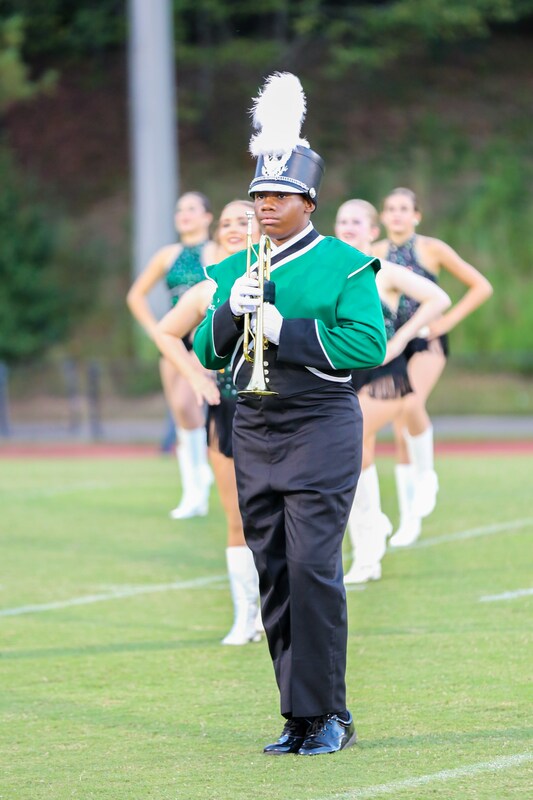 He has previously taught band in the Mountain Brook City Schools as band director at Mountain Brook Junior High School and in the Jefferson County School System as band director at Gardendale High School and assistant band director at Hueytown High School. 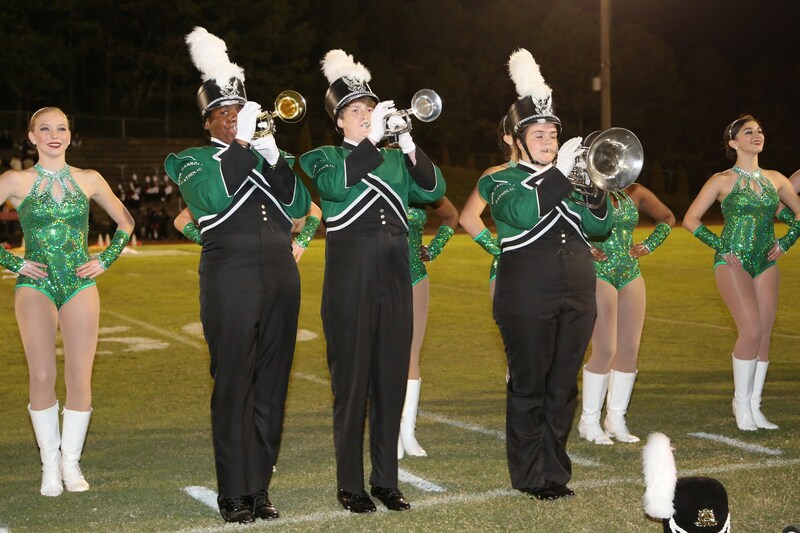 Bands under his leadership have consistently earned superior ratings and best in class awards at the district, state, and regional level. Dr. Foster was inducted into Phi Beta Mu, international bandmasters fraternity, in 2009 by his peers in the band director community in Alabama. Dr. Foster holds the bachelor of science, master of arts, and doctor of education degrees from the University of Alabama, as well as National Board Certification through the National Board for Professional Teaching Standards. As a doctoral student, he was inducted into Kappa Delta Pi, international honor society in education and was awarded the most outstanding graduate student in music education in 2003. Foster has presented research at the Alabama Music Educators Association Professional Development Conference, The University of Alabama Research Seminar in Music Education, The Birmingham Public Library, New Horizons at UAB, The Bessemer Rotary Club, The Vestavia Hills Lions Club, and The Alabama Bandmasters Association Summer Conference. His research interests include band history and early Birmingham history including cultural development at the time of the founding of the city. His doctoral dissertation is entitled, “Fred L. Grambs and his influence on instrumental music in late 19th century Birmingham, Alabama.” Dr. Foster is a member of the History Special Research Interest Group of the National Association for Music Education. In addition to his work as a band director, Dr. Foster has taught music education courses at The University of Alabama at Birmingham, The University of Montevallo, and Jefferson State Community College. He has served as guest conductor for numerous honor bands and clinics including The UAB High School and Junior High School Honor Bands, The University of Montevallo Honor Band, The Midfest Honor Bands at the University of Georgia, The Mobile County Junior High School Gold Honor Band, and most recently, the 2018 Alabama Middle School All-State Jazz Band. As a trombone player, he has performed with Ruben Studdard, Bo Bice, The Temptations, The O’Jays, The Alabama Ballet Orchestra, The Tuscaloosa Symphony Orchestra, and The Alabama Symphony Orchestra. He is a member of The Superjazz Big Band and the Renaissance Trombone Ensemble in Birmingham, Alabama. Dr. Foster is married and has two children. In his spare time, he likes to read and ride motorcycles. He hopes to ride his BMW R1150RT motorcycle across America one day.